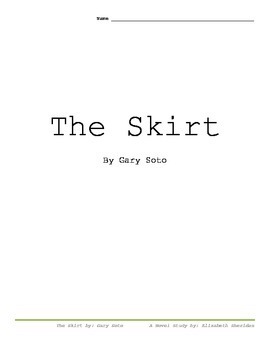 This is a novel study for the book The Skirt by Gary Soto. 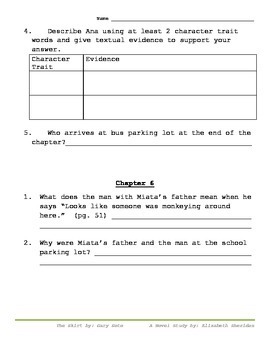 This book is a guided reading level N. The questions contained focus on character's traits, actions, and motivations. There are also a few questions regarding figurative language. This is perfect for use with a guided reading group or as a reader's guide for independent reading.